Okay… NOW our first episode is up! We chose Maniac Mansion a the first episode because it’s the first LucasArts game that utilized their SCUMM engine that helped make these games to revolutionary in the first place. It opened up a whole new world of point-and-click adventure games like Monkey Island, Day Of The Tentacle, Sam & Max, and so many others. We’ll be covering those games in upcoming episodes, but for now enjoy a deep dive into the who, what, why, and how of Maniac Mansion. Jason’s beer was Smithwick’s and his song was “Everything You Know Is Wrong” by Weird Al Yankovic. 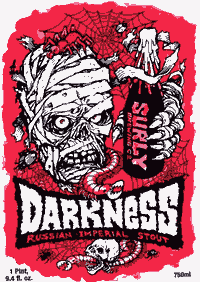 Ben’s beer was Surly Darkness and his song was “Paul Revere” by the Beastie Boys. The Men of Low Moral Fiber would like to apologize for some of the lyrical content of “Paul Revere.” The album was their first and they spent much of the rest of their career trying to atone for it’s immaturity. In “Sure Shot,” MCA memorably rapped, “I wanna say a little something that’s long overdue / The disrespect to women has got to be through.” For more information see Mickey Hess’ Icons of Hip Hop page 110 as well as Ben Westhoff’s nuanced rebuttle. This entry was posted in Episodes and tagged Maniac Mansion, Podcast.